Leonard Holness was born in Jamaica in 1944 little knowing that his path in life was going to be that of an international professional wrestler but this is exactly what happened to him and Leonard, or Lenny Hurst as he became known to millions of wrestling fans around the world certainly left his mark. As a teenager Lenny left his native Jamaica and travelled to England where he soon enrolled in the local YMCA, this was a good way not only for Lenny to meet new people but to also keep himself physically fit as he pursued an interest of his which was weightlifting. Although Lenny enjoyed this activity his head was soon turned to wrestling and to enable him to learn from the grass roots he joined the United Amateur Wrestling Club which had a good reputation in the sport. Lenny entered many amateur wrestling contests and did well but it was the bright lights and the fame of the professional ring that was his next ambition. At this stage professional wrestling was becoming exceptionally popular in the UK and Lenny was advised to visit Dale Martin Promotions where he was given a trial by Jack Dale. It was obvious that Lenny had some star quality and he was invited to train at Dales gymnasium where he could continue to learn the professional way of wrestling by many of the top stars of the day. It was not long before Lenny was ready for his first professional bout and in 1965 Lenny stepped into the ring as a professional wrestler for the first time. Lenny was soon making a name for himself in the ring and this was to be enhanced when only two years after making his professional debut he was given the opportunity to wrestle in front of millions of viewers when he had his first televised bout in February 1967 against Alan Miquet. Lenny went on to be a regular on television for the next 20 years where he wrestled many of the top names including Steve Logan, Ken Joyce, Terry Rudge, Mick McManus, Tony St Clair, Marty Jones, Pete Roberts and Leon Fortuna to name but a few. Lenny Hurst or the Jamaica Kid as he was sometimes billed soon became a hit wherever he wrestled and was a definate fan favourite in the UK. 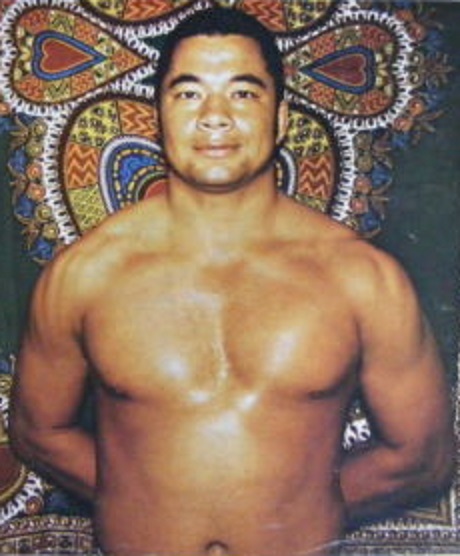 However, it was not long before he came to the attention of foreign promoters and Lenny was soon joining other stars from the UK on their trips to Europe and the Far East where he wrestled many of the top foreign stars of the era. 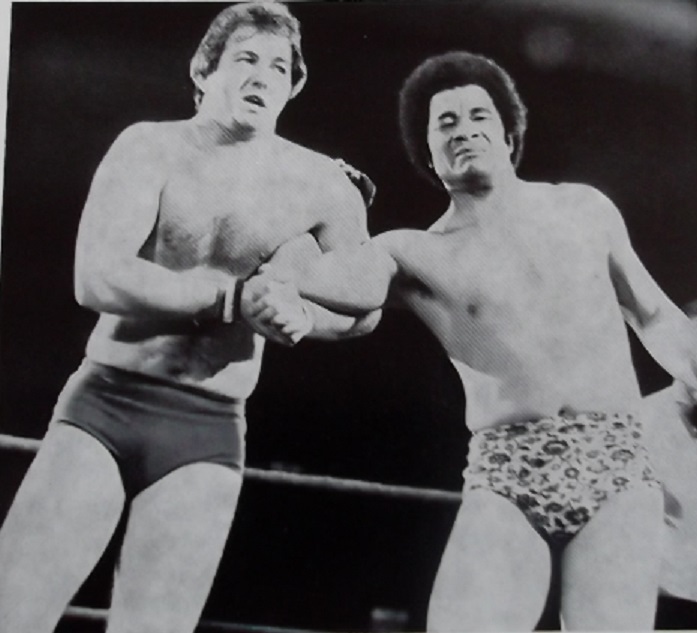 In the early 1970s Lenny was invited to Stampede International Wrestling where again he became an instant hit and went on to secure the tag team championship on three separate occasions (twice partnering Dan Kroffat in 1972 and 1973 and once with Rick Martel in 1974). 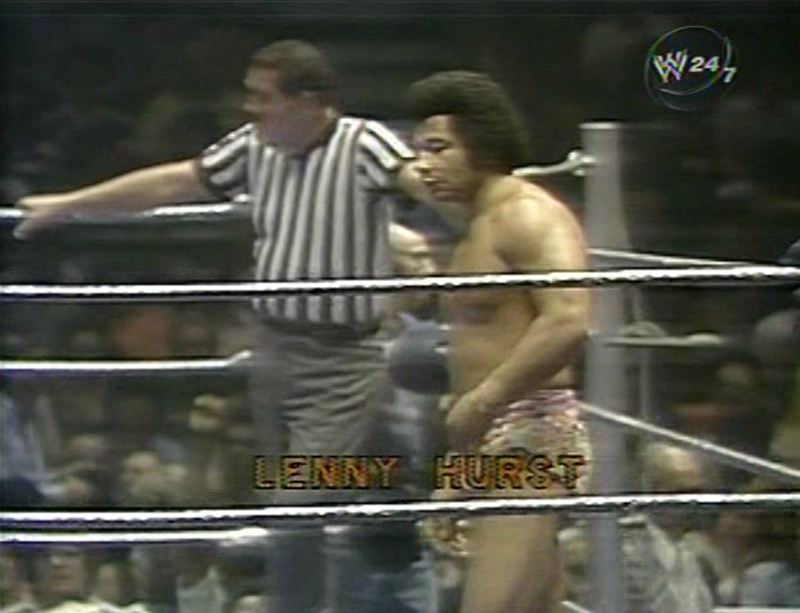 Although Lenny primarily wrestled in the UK with great success he did in 1977 have a longer stint with the WWWF (now WWE) where he was also given the opportunity to wrestle a number of times on their huge Madison Square Garden shows. Lennie was considered a class act and was given bouts against some of the top WWWF wrestlers at the time. Although Lenny enjoyed his time in the ring he knew that it would not last forever and like many wrestling stars he entered the licencing trade to supplement his income and ran a very successful establishment until his retirement. On his retirement Lenny moved to America where he lived for many years although he still had a very keen interest in the wrestling business. 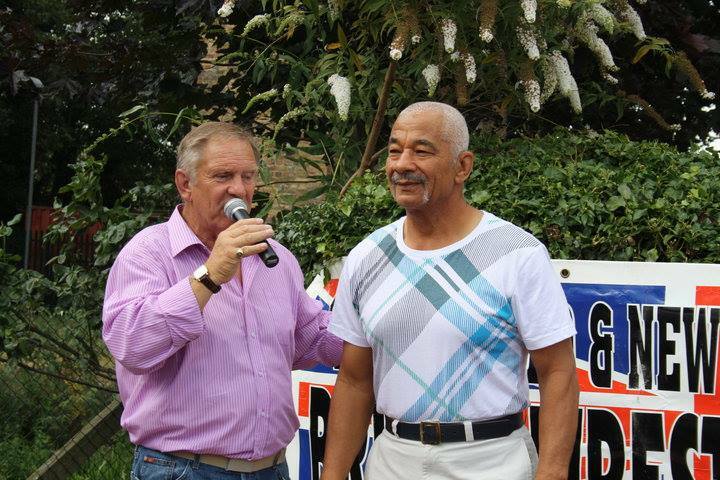 A regular visitor to the Reunion Lenny remained a great fan favourite and always had time to speak to them (as well as meet his fellow professionals) to talk about the good times he had in the ring. Lenny recently moved back to his native Jamaica and on Tuesday 21st October 2014 he sadly passed away aged 70. On hearing the sad news of Lennys death tributes have been made to him by not only many of his fans around the world but also his fellow professionals including Marty Jones, Mick Sullivan, Tony White, Dwight J Ingleburgh (Sam Betts), Tommy Stewart, Ringo Rigby, Frank Rimer, Dale Storm, Keith Myatt, Clive Williams, Barry Howard, Sean Regan and Mal Sanders. Lennys passing has also been announced on various wrestling websites around the World such was his popularity and fame. Lenny Hurst was a true gentleman and a professional to the end. He will be sadly missed by not only his family and friends but his legion of fellow wrestlers and fans and may he Rest in Peace.